OR SINGLE BAY GARAGE AREA. USE ONLY 1 HEATER PER HOUSHOLD CIRCUIT TO AVOID BREAKER OVERLOAD. 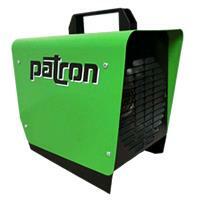 H: 8: L: 11" W: 12"
* Please call us for any questions on our heater 1500w 110 v hd patron rentals in Portland OR, Gresham OR, Milwaukee OR, and surrounding metro area.